The holidays are upon us! At Geeks on Site, we want your holiday gift giving to be a success. From the best new computers and laptops to software, training, installation support, and more, Geeks on Site has the best holiday gift guide for everyone on your shopping list. 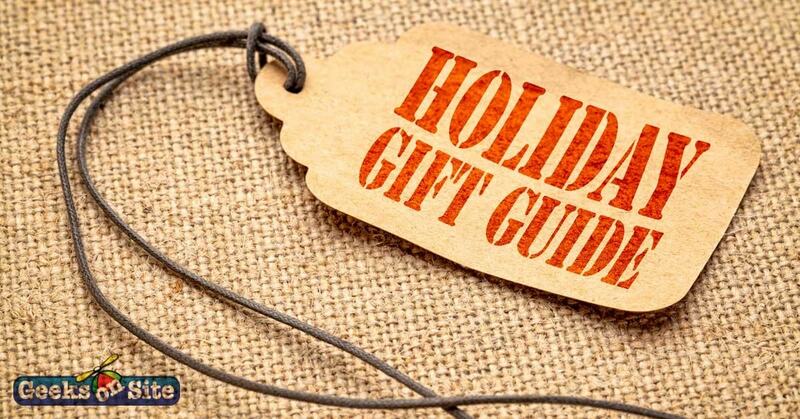 Whether your gift recipients are tech savvy or is a newcomer to computer technology, Geeks on Site’s holiday gift guide will make holiday shopping stress free in 2018. At some point, we will all struggle to find the right gift for our friends and family. One thing rings true, regardless of age, most of us would love to receive products or services that could improve the way we work and live. At Geeks on Site, we offer a wide range of tech products and services to help change the way your loved ones manage their daily tasks. Below, we’ve broken down our top picks for the holiday gift guide of 2018. Do you have a family member who is constantly running into security issues on their computer? Does he have a virus or pop-up problems? These pesky little ads are more than just annoying - they can steal personal information and cause damage to your loved one's computer and documents. A virus scan can remove all the current malware or viruses that are causing damage. After removal, add a quality virus software to keep their computer clean without interfering with their computer usage. How often do you hear someone complain that their computer is too slow or too old? Getting a brand new computer for someone is an incredibly generous gift. When purchasing a new computer for a loved one, consider their lifestyle and how they will use it. Desktop computers are great if most of their computer usage is done at home and stationary. If you know the individual will likely use their computer in various places, a laptop will be a better option. Your current computer needs some maintenance from time to time, this includes upgrading it. Your current computer needs some maintenance from time to time, this includes upgrading it. If you know someone who is using a computer that just can’t keep up with their usage, additional RAM may solve their pain points. Or maybe they have saved too many music or image files on their computer and need to invest in a larger, faster hard drive such as a solid state drive (SSD). Updated hardware can really change the performance of a computer for a lot less than a new computer would cost. Offer to have your loved one's machine inspected by you local Geeks on Site tech to run a test to see where the upgrade may be needed. We store so much on our computers now, images and videos of important milestones, personal documents, and much more. Imagine if all of that just disappeared one day because your computer crashed. A simple solution is to always back up the content of your hard drive onto an external hard drive for safe storage. If you are purchasing this gift for someone who isn’t very technical, you can set this up to be done on the backend so that they never have to do anything other than continue using their computer as they normally would but with peace of mind that their images, videos, important documents, and more will be there even if their hard drive crashes. Do you know someone that wants to learn the basics of using their computer? Or maybe they want to learn how to do something a little more technical, such as setting up a network? Give the gift of one-on-one training with an expert from Geeks on Site. Training sessions can take place right at home. Geeks on Site hopes you have a wonderful holiday season with your loved ones but should you need assistance with your holiday gift guide, repairs or upgrades of your own, don’t hesitate to contact us.